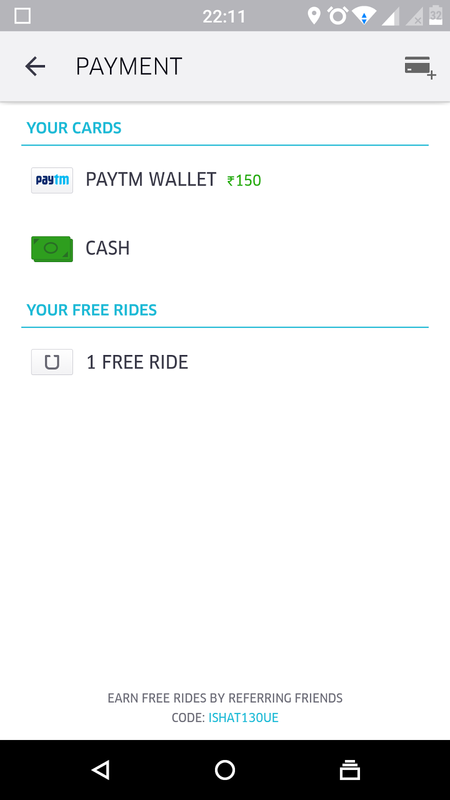 Home / Bangalore / Review / Uber is now accepting cash payment in India. San Francisco-based Uber grew rapidly and now it is worth around $40 billion company operated in more than 300 cities across the world. Uber prices are affordable and very much near to auto prices. Currently, Uber is charging 7 rs per kilometer. Uber said, "Autos are already commonly used by Indians across the market & there are people who only want a cash-based product, and there is no reason to keep them out of the Uber experience,". "We know that cash is still the dominant payment method for the majority of Indians, especially in smaller cities. To ensure everyone can enjoy the hassle-free reliable ride at the push of a button, we are giving riders cash payments option, to contribute to the fast-evolving consumer base," said by the general manager, Uber Bengaluru. They are also adding the quality check for the driver. You can rate the driver on Uber app. You can also mention the reason for it. Unlike Ola, Uber does not need destination address to enter while booking. So there will be very less chance for rejection from Uber driver. Uber started with accepting cash payment in Uber Mobile Application as well from the site. So now you can book Uber and pay the cash at the end of your trip. Currently, Cash payment will be accepted in a major city of India like Bangalore, Mumbai, Hyderabad. And it will be rolled out in another city with few weeks of time. As there is big rival going on between Uber and Ola to capture the India market. Price are getting decreased from both the side. After getting banned in Delhi Uber got support from Ministry of India. Ola, Meru introduced many offers to stick against Uber. Currently, Ola is offering price of 6 rs per km to travel in the city area. Ola also tying up with the auto rickshaw to fight against Uber and capture more market. Uber had payment option like PayTm cash and Credit card. As Uber is not accepting the cash payment before many of the customers who don't have much knowledge of PayTm cash or credit card payment were not able to opt for Uber service. Now there is good news for those people. They can book Uber and make the payment by cash. Uber mobile has completely changed the transport mechanism in a metro city like Bangalore, Hyderabad, Delhi, Pune, and Mumbai. According to news, Uber is going to start accepting Cash payment in the city mentioned below after few weeks around in mid of Sep 2015. So now there will be no minimum balance required to book the ride as cash payment method is available. To cancel your ride, Uber is charging 50 Rs. I don't how that payment will be collected in case if it is booked using cash payment method. Still auto rickshaw is widely used mode of transport in India which is very convenient and has cash mode of payment. So Uber is going to start the tying with an auto rickshaw and service will be started in Delhi first. Other planned city is still not disclosed by Uber. You need to select the Cash payment method before booking the ride. You can select the cash payment option in payment tab available in Uber mobile application. 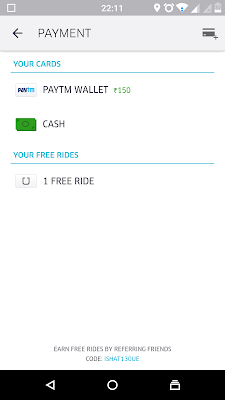 You can not pay by PayTm cash or Credit card if you booked the ride as cash payment mode. Uber is planning to launch One Touch Emergency Service for their customer.